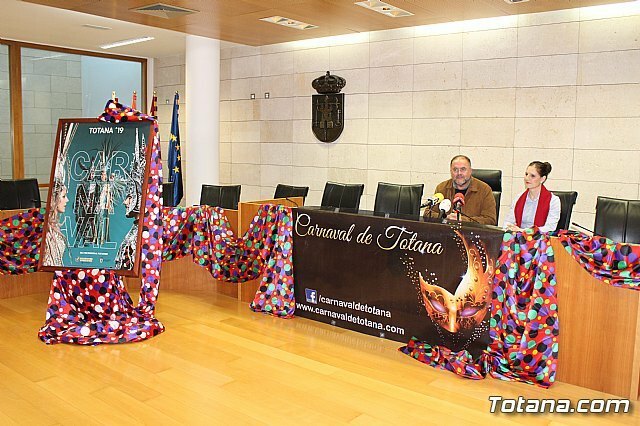 The Federation of Peñas de Carnaval returns to cede another year, the fourth consecutive, to the Association of Parents of Persons with Intellectual Disability of Totana (Padisito) the management of the stands that will be installed in Puente Street, so that everyone who wants can enjoy the parades of the Carnival, both of adults and the infant, sitting. The first deputy mayor, Juan José Cánovas, replacing the councilor for Culture, Eulalia Moreno, and the coordinator of Padisito, Lucía Hernández Salinas, presented this initiative with which the Federation of Peñas intends to collaborate, again, helping this collective that has been working in the field of disability in this municipality for 25 years. while you can get a bonus of ten euros to enjoy the three parades. The sale of tickets for the parades will take place on Wednesday, February 13 at the "Juguetería Hermanos Romero" (Perro Gordo). 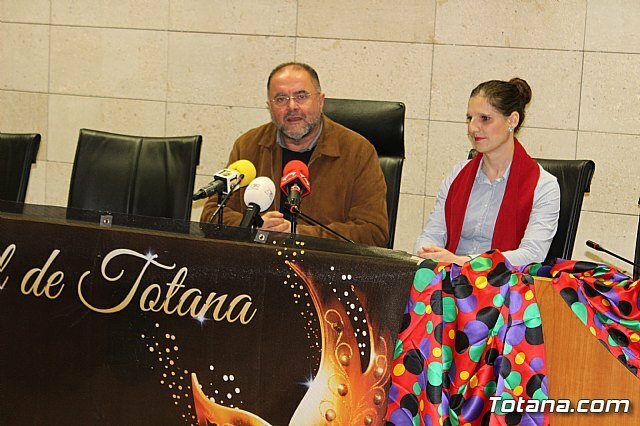 The collection of the sale of chairs will be used to maintain the portfolio of programs and services of the Padisito Association to complement those offered in the Totana day centers, such as leisure and free time, home help for dependents, physiotherapy, Occupational therapy, among others. Currently, Padisito serves 26 families in Totana. The parades of the Carnival are March 2 (Peñas de Totana -16: 30 hours-), March 3 (children's parade -11: 30 hours-) and March 9 (IV Regional Carnival Competition with local and foreign clubs -16: 30 hours-). The promoters encouraged the neighbors interested to acquire their tickets because in previous years they sold out quickly.